There are 1 cat videos tagged with bananas. Every time his owner comes to grab a banana, cute Winston protests. 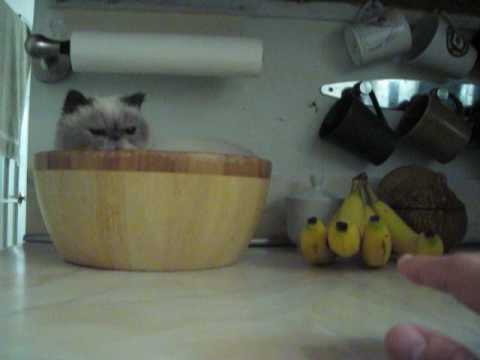 The exotic shorthair sits in a bowl on a counter next to the bananas and just doesn't like them being taken from him.